Moisoturization studies are routinely performed using standard emollients to improve our formulations. 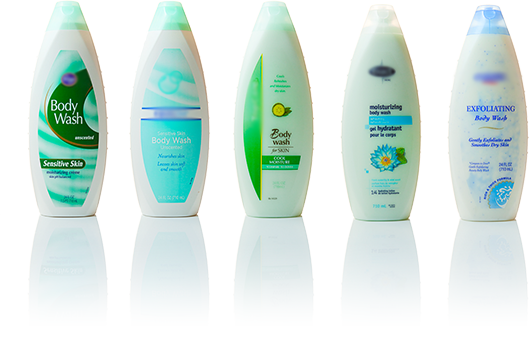 Apollo has analyzed trends in body wash usage and realizes that fragrance and colour play a significant role in the acceptance of the body wash.
Apollo has analyzed the trends in Body Wash usage and realizes that fragrance and colour play a significant role in the acceptance of the Body Wash. To further enhance our customer's approval, colours and fragrance have been specifically selected based upon consumer studies and their responses to these specific fragrances. Our body washes will leave your skin feeling soft and silky due to our innovative formulation that will not strip the skin of it natural oils and will only wash away the dirt and grime. We believe in superseding the standards in order to ensure the highest standard of quality.